Prateek Shah is an entrepreneur who has been part of the social media industry since its inception in India. With a background in banking and public relations, he brings with him a diverse experience helping him better understand participants’ needs. Over the years, he has trained professionals at associations like FICCI, AMA, FISME; and conducted workshops for employees of organizations such as SBI, NTPC, L&T-PBEL, CNN IBN, Hindustan Times and more. 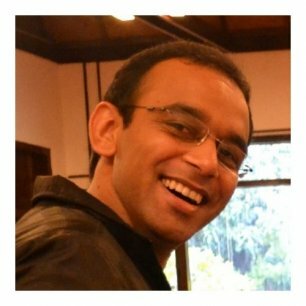 He was instrumental in launching India’s first student social network ‘AssetAmbassador.com’and has managed social media campaigns for an array of brands like FIFA India, Imagine Apple,Educational Initiatives, Octane, Just For Hearts, Integra Profit, UrSqFt, Headstream Advisory,Tayal Capitals among others. Prateek’s creative methods of training along with his interactive skills make his workshops lively,making the audience eager to not just listen, but contribute in a collective manner. His venture Green Smyles offers solutions for the holistic growth of organizations and individuals.